Naya Kanga Peak Climbing also known as Ganja La Chuli Peak Climbing is a popular trekking peak in Nepal situated in Langtang region. Langtang is a popular destination for climbing snow peaks and spectacular panoramic views of mountains in Nepal and Tibet. Easy access to the region and availability of several snow peaks scattered around for acclimatization make this region an ideal destination for mountaineers.Many small peaks in this region which require no previous climbing experience are suitable for even trekkers to have little taste of what's like climbing in Nepal. 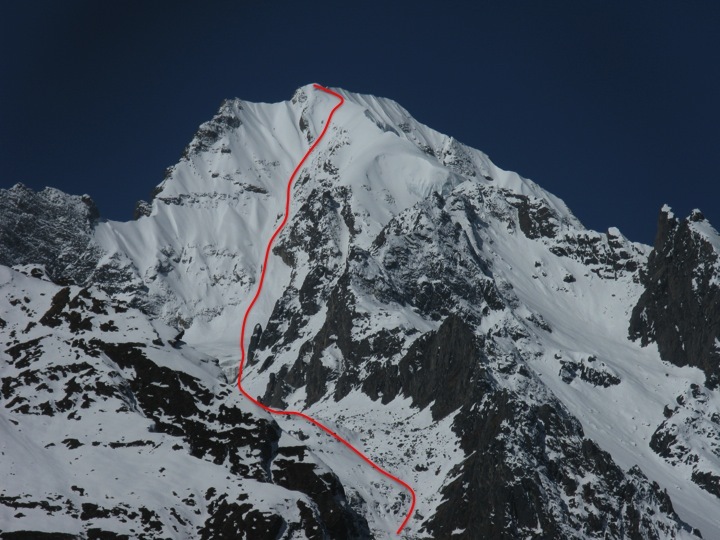 Naya Kanga is an attractive peak rising to the west of the Ganja La (5,122m). Ascending to Ganja La or the summit of Naya Kanga offers the spectacular panoramic views of mountains in Nepal and Tibet including Langshisa Ri (6,370m), Pemthang Ri (6,836m), Shisapangma (8,046m), Langtang Lirung (7,425m), Pemthang Kapro Ri (6,830m) and Langtang II (6,571m). Day 02. Details information regarding about the trip for basic preparation and make a permit. Day 18 Drive to airport for departure.